The mortgage process can be overwhelming. 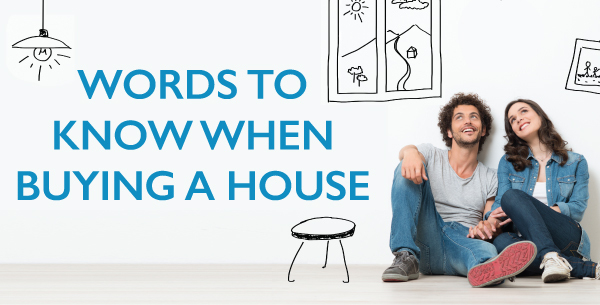 Knowing key mortgage and home buying terms can help reduce confusion and assist you in better understanding the process of buying a home. The money that you pay up front for a house. Fixed rate - The rate doesn’t change for the term of the mortgage. Variable rate - The interest rate fluctuates with market rates. Protected (or capped) variable rate - The rate fluctuates but will not rise over a preset maximum rate. Open mortgage - Lets you pay off your mortgage in full or in part at any time without any penalties. Closed mortgage - Offers limited (or no) options to pay off your mortgage early in full or in part, but it usually has a lower interest rate. Conventional mortgage - A loan that is equal to or less than 80% of the lending value of a home. This requires a down payment of at least 20%. High-ratio mortgage - A loan that is over 80% of the lending value of a home. This means the down payment is less than 20% and will likely require mortgage loan insurance. The length of time you agree to take to pay off your mortgage (usually 25 years). How often you make your mortgage payments. It can be weekly, every two weeks or once a month. A written agreement that you will get a mortgage for a set amount of money at a set interest rate. Getting a pre-approved mortgage allows you to shop for a home without worrying how you’ll pay for it. The ability to make extra payments, increase your payments or pay off your mortgage early without incurring a penalty. An option that lets you transfer or switch your mortgage to another home with little or no penalty when you sell your existing home. Mortgage loan insurance can also be transferred to the new home. The length of time that the options and interest rate you choose are in effect. When the term is up, you can renegotiate your mortgage and choose the same or different options.